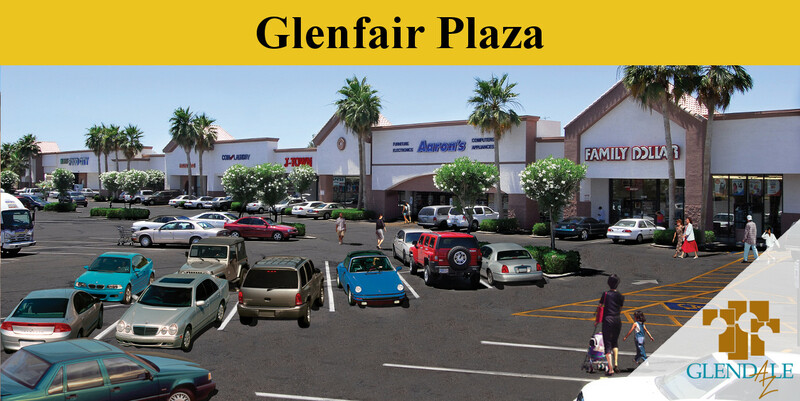 Glenfair Plaza is a grocery anchored retail shopping center located on the Northwest corner of highly traveled Bethany Home Road and 59th Avenue in Glendale, Arizona. This retail center is anchored by Food City Grocery Store, which is owned and operated by the long established Bashas’ Family. Glenfair Plaza underwent an extensive renovation which included a new facade, new parking lot and upgraded lighting and landscaping design. The addition of local and national tenants such as McDonalds, K-Momo Fashion, Aaron’s Rents, Family Dollar Store, Super 99 Cent Center, Diamondback Laundries and Grins Dental & Braces created a dynamic shopping center to better serve the surrounding community.